There are a number of devices that are now available which we can use in our homes and add to our security systems. These devices are going to be life changers. We are going to have networked devices that can be monitored over long distances through the internet. The industry is continuously evolving, and products are being manufactured which will give a new face to home security. Our homes will be completely automated, with almost all our electrical devices/appliances connected with each other and then connected to a tablet/smartphone. Access to all these things from anywhere in the world will be the most natural thing to us. This machine-human interaction is going to be incredibly beneficial. There are new advancements happening in the cameras that security systems are using. Facial-recognition cameras are being introduced in homes now. They can provide alerts if there’s an unrecognizable person outside the door, and help with identifying family members and friends. The data is uploaded and then controlled through any handheld electronic devices which will trace the exact locations of the subjects as well. Another convenience is larger area connectivity. One system can operate and manage 16 or more different security cameras, providing access to various areas around the same place. Reduction in energy consumption is another plus of the futuristic smart home. Such a home will not only be completely connected and protected, but it will also be more energy efficient, as it will reduce the costs of fuel and electricity. So the future for now looks bright and dandy. These smart homes will be responsible for accurately assessing and adjusting to the proper temperature based on what time of day it is. We can also expect greener lives and efficiency in terms of protocol programs. A smart home not only runs on energy saving ideas, but is also concerned with the practical implications of a house being generally secured. From food storage to human interaction, a smart home measures heat, cold, humidity, and fire threat, making certain that life is not just safer, but also more convenient. Home security now includes thermostats and carbon monoxide detectors, which are simply connected to the internet by a smartphone/tablet, which makes sure that a threat is instantly recognized and immediate action is taken to ensure the safety of the people living inside. The drone technology that you can see on TV and everywhere else these days is part of the future of home security systems as well. Any unwanted individuals will simply be stopped in their tracks before they can get front door access. These drones are also going to be a great help in keeping track once a robbery has occurred. There are going to be polymer-coated fences which will be able to easily detect anyone who tries to climbs them to gain entrance into the premises. Even our yards will be safer, meaning that our kids can play outside and we can be without worries due to strong intruder alerts. 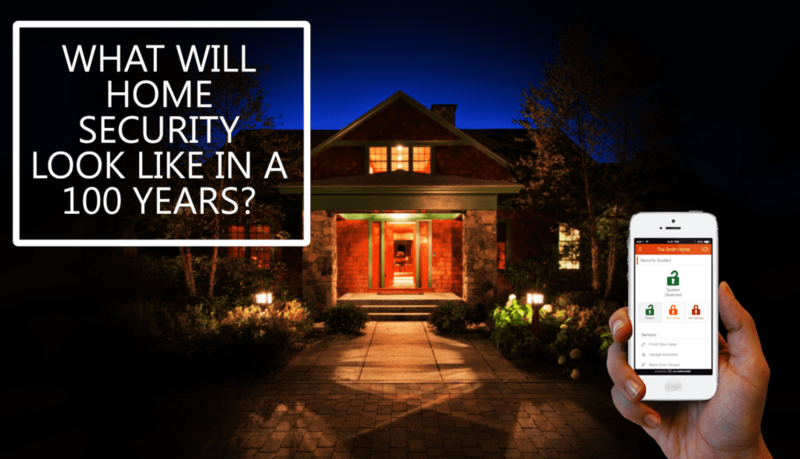 The number of devices that are now available and are changing our perspective about home security is increasing rapidly. We can expect stronger communication and connectivity between these devices, and what’s more is that these will be integrated into our homes and workplaces, making safety a non-issue pretty soon. These devices and applications are also going to become more advanced in terms of protecting and monitoring their own data. There is going to be one main monitoring device which will handle the rest of the internet-enabled devices and keep the data safe. In the coming years, we will also observe an increase in home security DIY products. This will be because many consider them to be cost-effective. But there is never really a surety that these products will be effective when it comes to actually keeping your homes secure. You can commit a mistake while installing such devices. Manufacturers are now working hard to make sure that even these DIY systems provide foolproof security. Professionally installed systems might cost more, but they give you major comfort and added security features which are more reliable in nature. Companies like Vivint security and Frontpoint offer comprehensive security solutions to keep you and your loved ones safe. When we think of the future, we expect devices which we only see in movies like The Avengers and X-Men. They may very well become a reality in the coming years, but human and device interaction both go hand-in-hand in making certain that those devices work in our favor. We need educated hands which can make it possible for these applications to commence properly, and to guarantee that tomorrow’s world will be a safer place for future generations.